Rarely available, this Meridian St landmark home is a treat to sell. 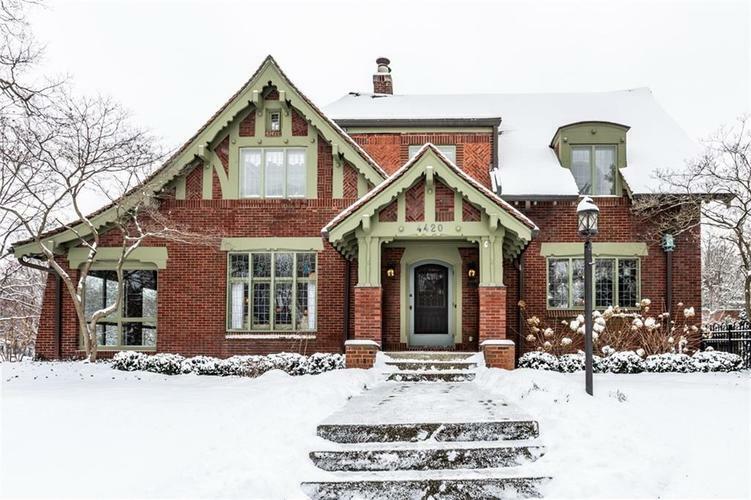 Often referred to as the Hansel & Gretel house this is an Indianapolis charmer w/loads of character! Beautiful hardwoods, arched openings, leaded glass casement windows, all season sun room, a gorgeous side yard & stunning patio with new fence. Breakfast room overlooking garden is a favorite! Extensive landscaping & fabulous hardscape give this cottage a lovely outdoor serenity. The large finished basement & full bath is a great surprise & the storage is fantastic! Well cared for w/new mechanicals, new kitchen appliances, and lots more. Ask for list of improvements. Located at 44th & Meridian but house & driveway sit on sought after Hampton Drive. Close to downtown!